Current Scottish Comedian of the Year Rosco McClelland is riding the Scottish comedy revival, hotly tipped as one of its brightest stars, with bags of potential and professional accolades to prove he is one to watch. In his successful Edinburgh Festival Fringe show last year, Rosco delved deep to find out what makes him tick, using psychedelic storytelling to traverse through a life-changing event. ‘How I Got Over’ was based on his brush with death as a teenager, and discovery of his life threatening heart condition. His blasé outlook on mortality makes for some deliciously dark comedy, while his wandering mind concocts strange and surreal tangents and observations which were the highlights of the show. Audiences were rewarded with clinical wit and shades of darkness from a performance which sold out at the Adelaide Comedy Festival earlier this year. Twice nominated Best Newcomer at Scottish Comedy Awards, and now Scottish Comedian of the Year, Rosco’s gravelly and animated onstage presence has impressed judges and audiences a like. He commands continuous laughter from his audiences, his naturally humorous delivery and surreal observations making a remarkable performance. 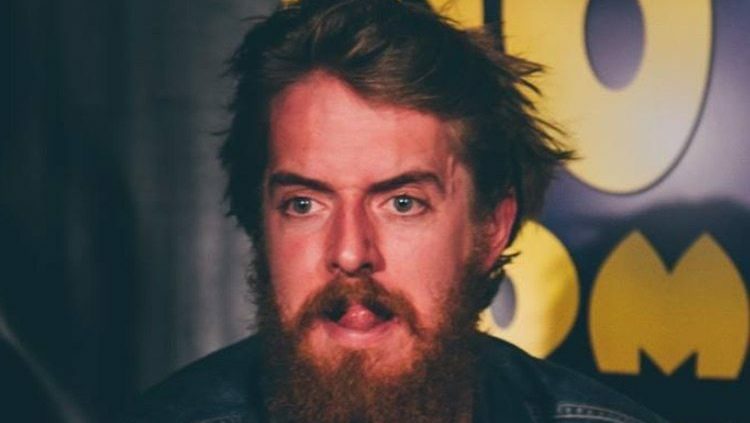 Rosco was also chosen as one of Chortle’s ‘Comedians to Watch in 2017’ for his unique comedic voice and hard working attitude. His is frequently compared to fellow Glaswegian Billy Connolly, as his fragmented story teller style, and ofcourse, his compelling rhythmic melodic voice – always leave audiences wanting more. His offbeat musings and exaggerated visual imagery feel natural and not forced, as they come from an act with one foot very much planted in the real world. “McClelland is approaching shades of Tony Law-style buffoonery"
“McClelland's gravelly and animated onstage presence emitted continuous laughter from the audience"